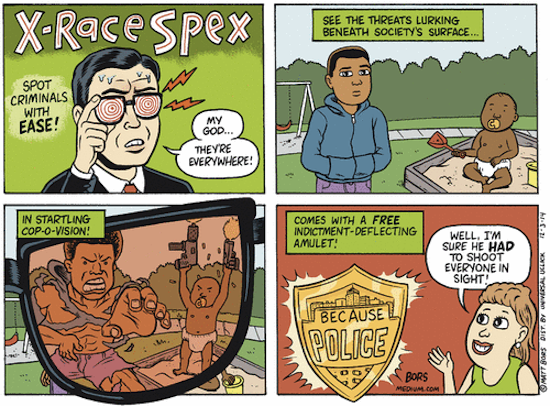 Award-winning editorial cartoonist Matt Bors tackles the U.S. issue of the moment: racial bias among the nation’s police officers. What exactly are they seeing? Planet Waves publishes a cartoon by Matt every week.